Before you decide on your photographer, be sure you really get to know them and are familiar with what to expect. We believe in full disclosure, so ask us any questions you may have. Here are some questions you should be sure to ask…and, in the spirit of full disclosure, get to know Alfaaz by way of our answers. 1. My wedding day is over. When will I get my pictures? Many newly married couples will recall great disappointment in the time it took for their photographer to share the pictures of their event.Always be clear about your expectations on timeline and be sure your photographer is committed to these. At Alfaaz Photography, we are committed to sending you the photographs within 8-10 weeks of your wedding day. In the case of a delay, you will be compensated $100 for every week you don’t receive the photographs. 2. Who is my photographer? This might not always be clear; the photographer you meet may not be the photographer at your event. Each photography agency may have several photographers, and each photographer has their own portfolio and style. Our company takes pride in connecting you directly with your photographer: no surprises on the day of your wedding, no strangers. We are honest about our availability and will not compromise in the quality of the photographs. The photographer will be an important part of your wedding, second only to you, the bride and the groom, so get to know them! 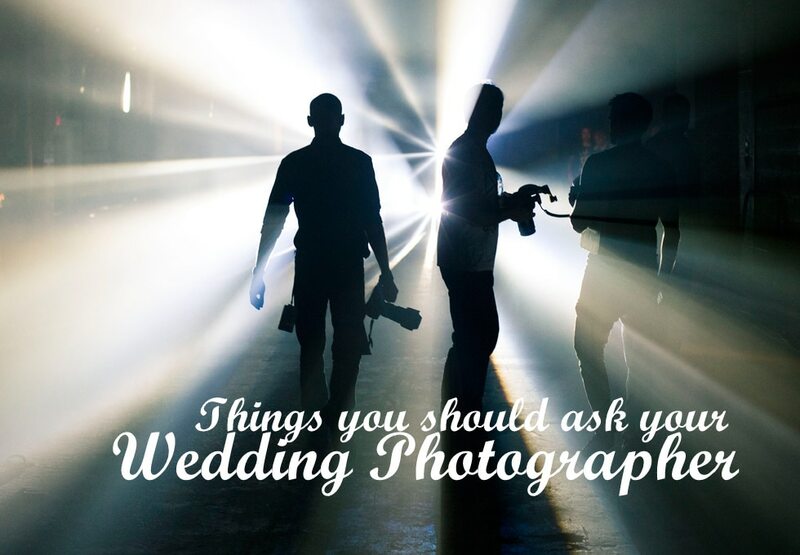 Ask your photographer to have a meet & greet with your wedding party. This way, your wedding photographer and your wedding party with both know who they are working with and what to expect. 3. I love my photographer’s portfolio, but how can I be sure that my wedding photographs will be a similar style? A great way to test your photographer is by doing an Engagement Shoot. Not only will this be a fun ice breaker with your photographer, but you will get a sample of how the photographs turn out and be able to make an informed decision about whether this is the style that is appropriate for your wedding day. You will build a great relationship with your photographer and your photographer will get to know the creative vision you have for your wedding events. The photographers at Alfaaz photography will work together with you to create a vision board – a fun and easy way to express their create language and see if it matches your creative vision. This will be the vision with which they shoot your engagement photographers; and this same photographer will be the one to shoot your wedding. 4. How well organized is my photographer? Planning is key to making sure that your wedding day runs as smoothly as possible; this is true of both you and your wedding party, and it is true of your photographer. With so many events and people, it is important that no special moment is lost. Our contracts include the schedule of the wedding outlining all planned activities. This way, your photographer and you are both aware of arrival times and departure times, and the duration required for shooting any particular event. 5. What are the hidden costs? Extra hours – contractually, your photographer is obligated to commit to a certain number of hours to cover the duration of the wedding. Any additional time may incur extra charges. Designing the album – Ask about how much input your get to provide, how many changes you are allowed to make, the timeline with which you will receive the album, etc. There may be extra charges for the number of changes you make, or for requesting an earlier delivery date for the album. Incidental costs – you may be responsible for incidental costs incurred by the photographer as they relate to your wedding. This may include travel costs. Have your photographer clarify exactly what the fees will cover. 6. What experience does my photographer have? Alfaaz Photography’s website to read testimonials from previous clients. We welcome any requests to connect with our previous clients. The last thing you want on your wedding day is a bad experience so keep these points in mind to make the right choice.